The Admiral Gorshkov began its construction at Russia's Severnaya Verf shipyard in St. Petersburg all the way back in 2006. At that time, it was the first large surface vessel to begin construction since the collapse of the Soviet Union, an event which temporarily threw Russian shipbuilders (and the military industry as a whole) into disarray. Project 22350 gave shipbuilders the challenging task of developing a fundamentally new frigate, fitted with the latest 21st century technologies, many of them never used by the Navy before. As RIA Novosti military observer Andrei Kotz recalled, the Admiral Gorshkov was designed with universality in mind, with the "capability to combat surface ships and submarines with equal effectiveness, attack land-based targets with high-precision weapons, resist aircraft of the probable enemy, carry out reconnaissance by taking advantage of its low visibility characteristics, and much more." The ambitious nature of the project has not been without its problems, the most serious among them being delays to the Admiral Gorshkov's commissioning. The timeframe has been pushed back several times, and the vessel is now expected to be adopted by the Navy in August. In the meantime, Navy command remains confident about the promising vessels and their capabilities. In 2016, Defense Minister Sergei Shoigu confirmed that the Russian Navy would commission six Project 22350 frigates by 2025. Before that, the Navy said it hoped to receive over a dozen of the Admiral-series vessels in the near future for service in the Arctic, the Atlantic, and the Mediterranean. 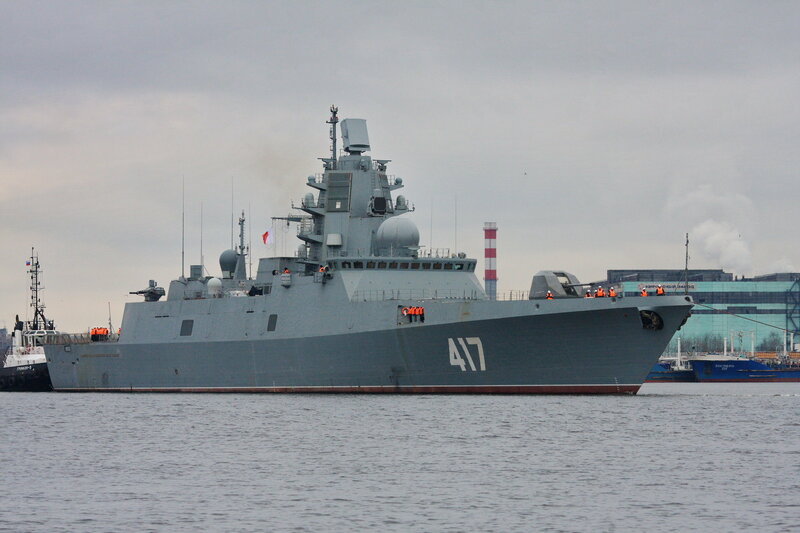 Speaking to RIA Novosti, Viktor Murakhovsky, editor-in-chief of Arsenal of the Fatherland magazine, said that the Admiral Gorshkov is presently the most technologically sophisticated, modern and impregnable surface ship in Russia's arsenal. The ship "effectively serves as a research institute," the observer noted. "Since 2006, the Admiral Gorshkov has seen the testing of virtually all of the Navy's latest technologies, from electronic equipment to anti-aircraft missile systems and artillery mounts." According to Murakhovsky, some of the systems tested on the Admiral Gorshkov were so new that they were still in the experimental design phase of development. Therefore, he noted, it's only natural that a ship like this could not be put together with haste. "But when it is finally completed, the Navy will be strengthened very considerably," the observer stressed. The Admiral Gorshkov's main strike power is provided by its 16 vertical launch system Kalibr/Oniks cruise missile-equipped cell launchers, with air defense assured via 32 Polimet-Redut seaborne missile complex cells. Close-quarters defense consists of two Palash close-in support guns. ASW defense is covered by four Packet-NK torpedo tubes. Finally, a 130mm A-192M naval gun firing 45 rounds per minute provides shore bombardment support. The ship's weapons systems will be controlled by a new digital onboard information and control system, complemented by cutting edge radio-electronic systems to keep tabs on approaching surface ships and submarines. In effect, Murakhovsky explained, the Russian super-frigate is "a floating computer, capable of solving many tasks virtually without human intervention. The vessel is [also] integrated into the control system of the surface action group, the fleet as a whole and the global information and reconnaissance system being formed by Russia, which includes monitoring of the seas and oceans." For all its complexity, the Admiral Gorshkov is a relatively fast ship, traveling up to 30 knots, with a range of close to 5,000 nautical miles at 14 knots p/h cruising speed. In autonomous navigation, the 5,400 ton vessel's 180-210 sailors and officers can remain at sea for about a month before needing to resupply. To date, four Project 22350 ships, including the Admiral Gorshkov, the Admiral Kasatonov, the Admiral Golovko and the Admiral Isakov, are under construction. The first of the three have been launched and are undergoing trials, fitting out or the final stages of construction work, and are expected to be delivered before 2020. At least four more ships have been ordered. 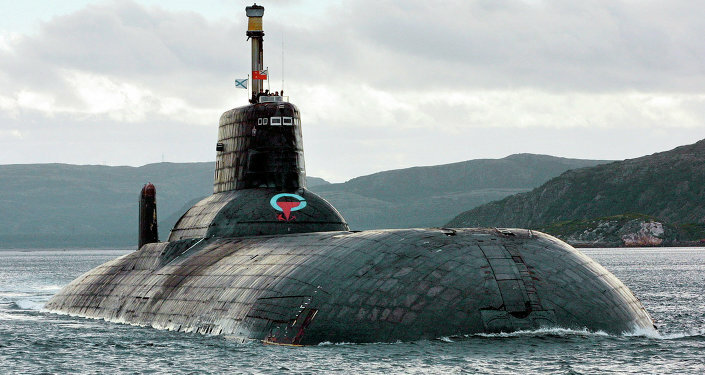 Severnaya Verf also has plans to build an upgraded version of the Project 22350 design, known as the 23500M. Little officially confirmed information on that project is available, except that it will have an increased displacement of up to 8,000 tons, meaning more space for weaponry, electronics and radar equipment. According to Murakhovsky, The Russian Navy will require 10-12 Project 22350 ships total to effectively carry out the tasks set for by Russia's naval doctrine. The Gorshkov and its sister ships will join other vessels being introduced into the Navy as part of its comprehensive modernization program. Between 2018 and 2027, the Navy expects to receive some 35 vessels, 20 of them surface warships, one submarine and 14 supply ships.